The UB School of Management’s full-time MBA program provides an inclusive environment that supports big thinking, creative freedom, and vast possibilities for achievement. But achievement is not limited to the classroom. As you begin your journey with the #UBMBA program we wanted to highlight our culture of participation and motivation to seize opportunities. 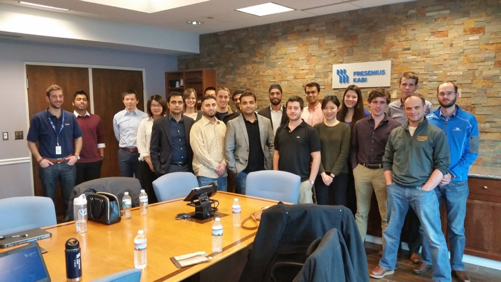 In this two-part blog series, you’ll be introduced to #UBMBA student-run organizations that you can consider joining this year. 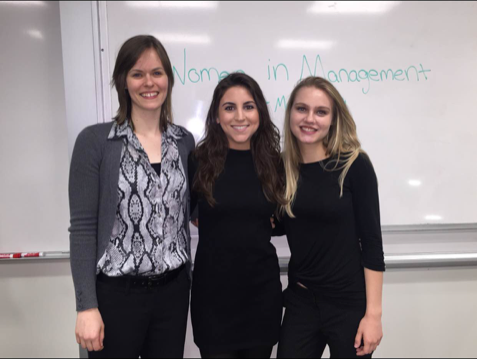 University at Buffalo Women in Management (WIM) builds a professional ladder for female undergraduate and graduate students interested in management. Seeking to empower student leaders, WIM sustains a cohesive culture of character building, soft skill development and professional networking. WIM facilitates practical experience by offering emerging opportunities to hone necessary attributes for managerial success in the corporate workplace. If you are interested in joining or have questions, feel free to reach out to the 2016-17 president, Victoria Trabucco. The UB SCOM club is the official School of Management student organization for graduate and undergraduate students interested in operations and supply chain management. SCOM is committed to providing its club members with real-world experience through plant visits, speaker series, roundtables and case competitions. Our association with APICS (an internationally renowned organization for supply chain professionals) enables our members to participate in several state and national events. Visit our website. To join or for more information, contact the 2016-17 president, Ammad Aslam and vice president, Parag Chaudhari. 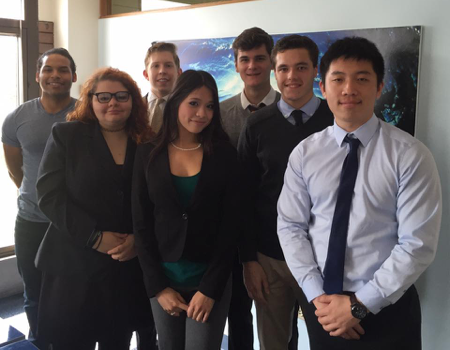 The University at Buffalo Marketing Club provides opportunities to young professionals interested in pursuing a career in marketing. Each week, we bring in experienced professionals who share their experiences, and lead workshops. We are devoted to delivering relevant opportunities to our members through networking opportunities, projects and internship opportunities. If you’re looking for a relaxed environment with abundant opportunities (and free pizza every week) the University at Buffalo Marketing Club is the right place for you! To join or for more information, contact the 2016-17 vice president, Austin Trainor. Kimberly Behzadi, MBA is a recent #UBMBA graduate who is a social media strategist at Kodak Alaris. 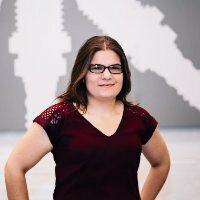 She volunteers her social media services to local non-profits in Buffalo. When she’s not busy with work and volunteering you can find her training for her first marathon. You can follow her Twitter at @zadizad or connect on LinkedIn by mentioning this post. This entry was posted in Miscellaneous, Student Life, Women in Management and tagged School of Management Clubs, SOM Clubs, UBMBA, UBMBA clubs by ubmba. Bookmark the permalink.